Supporters of Swansea's Egypt Centre have been given a pat on the back this week after it achieved an accreditation award. The museum, which is based on the campus of Swansea University, is also enjoying a double celebration — it is also the centre's 10th birthday. Curator Carolyn Graves-Brown, who lives in Llanelli, said: "We are very pleased with the celebrations this week. "We are very grateful for all the people who have supported us. "The Egypt Centre very much works as a team." Mrs Graves-Brown said they have around 80 volunteers. She said: "Our volunteers deliver a lot of our services, which also helped us get the award." The award which is set by the Museums Libraries and Archives Accreditation Scheme, determines the standards for UK museums. "The fact we have achieved the award, and we are up to that standard is brilliant," said Mrs Graves-Brown. 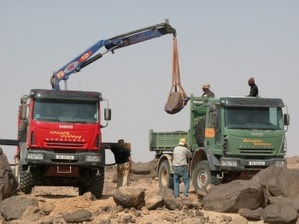 Two Iveco Eurocargo 4x4’s and two New Holland Construction machines, a backhoe loader and a crawler excavator, have played a crucial role in the success of an archaeology recovery project which has seen the British Museum working in conjunction with the Sudan Archaeological Research Society (SARS), Iveco and New Holland Construction. The expedition, carried out by the Castiglioni brothers and Derek Welsby, Curator of the ancient Egypt and Sudan department of the British Museum, organised the transfer of over 50 works of cave art dating back to between 5,000 BC – AD 1500 as well as 390 blocks of an early Kushite (c. 8th-5th century BC) granite pyramid, along with its offering chapel and enclosure wall. . . . The archaeology project took place in the region surrounding the Fourth Cataract of the Nile, prior to the damming of the river. The Fourth Cataract is currently being flooded to provide hydroelectricity for Sudan, with the British Museum/SARS team being one of nine international missions under the banner of the “Merowe Dam Archaeological Salvage Project”, which have uncovered thousands of sites dating from the Middle Paleolithic era (150,000 years ago) to the very recent past. Until recently, the cataract zone was considered a poor and inhospitable region, marginalised at all periods. It was considered a border zone viewed primarily as a place of refuge. The discovery of vast numbers of sites of all periods, some of them of high status such as a granite pyramid and massive fortresses, is now forcing a total reappraisal of the nature and role of the region in its Nile Valley context. 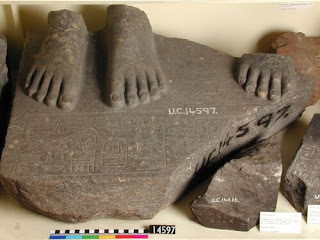 As a final phase of the project an appeal was made by the Sudan National Corporation for Antiquities and Museums (NCAM) for missions to save the rock art, rock gongs and any buildings that could be moved from inundation, for display in a proposed new museum to be dedicated to the ancient and modern cultures of the region. Iveco and New Holland Construction became involved in the project with the British Museum in direct response to this appeal, and in recognition of the efforts of this mission 20 blocks were donated to the British Museum and it is hoped that early next year some of these can be put on permanent display, along with other material from the region of the Fourth Cataract, to form part of a collection dedicated to ancient Egypt and the Sudan. See the above page for the full press release. Very classy Egyptomania, courtesy of Ben's translation skills. There's a photograph on the above page. Now integrated into the sculpture halls of the Egyptian Museum’s permanent exhibition, works by Giacometti from the Sammlung der Alberto Giacometti-Stiftung in Zurich invite visitors to listen in to a dialogue between artists as they communicate with each other in a common language of forms which traverses several millennia. By being placed in this context, Giacometti’s work reveals how steadfastly rooted in the past it is, as well as allowing the art of the Ancient Egyptians to once again exude an extraordinary freshness and relevance. Unlike other modern artists, Alberto Giacometti (1901-1966) lived obsessed by Egyptian aesthetics. The Altes Museum in Berlin celebrates the Egiptomania of Alberto Giacometti through twelve sculptures and two sketches by the Swiss sculptor, which today share the same space with the bust of Nefertiti and other works from the museum’s extensive Egyptian collection. This week we begin conservation on the mummy that will be on display in Lost Egypt, on loan to us by the Academy of Natural Sciences in Philadelphia. The mummy is of a girl approximately 14-18 years old, who lived in Egypt 2,300 years ago. John Shaw, COSI’s Traveling Exhibit Manager, Josh, and I visited the Academy last week while we were in Philadelphia for the Association of Science and Technology Centers (ASTC) conference. We saw the mummy on display – she has a beautiful cartonnage mask. We will be posting regular updates in the next few weeks as the conservation progresses! How were these collections formed? From an ancient Roman snake bracelet to a ceremonial Chinese headdress to a Tiffany & Co. glittering necklace, "Bedazzled: 5,000 Years of Jewelry" highlights more than 200 pieces from the Walters Art Museum through January 4. The exhibition features some of the Walters' greatest masterpieces, as well as many hidden treasures on view for the first time. The allure of gold and gems and the desire to design objects of adornment have remained constant throughout history and across a spectrum of cultures. . . . .
"Bedazzled" displays works from the ancient world, such as two pendants in the form of rams' heads demonstrating the development in multicolored glass production by the Fifth Century BC. Egyptian treasures will be presented, including a bright blue faience amulet featuring the lion-headed goddess Sekhmet as well as an intricate necklace strung with beads and amulets of gold, faience, carnelian and glass. Egypt at its Origins 2. Proceedings of the International Conference “Origin of the State. Predynastic and Early Dynastic Egypt”, Toulouse, 5-8 sept. 2005. The proceedings of the Second International Conference about Predynastic and Early Dynastic Egypt (Toulouse, France, 2005) present the results of the latest research on the rise of the Pharaonic culture in Ancient Egypt. It contains 65 contributions by 80 authors from different countries. 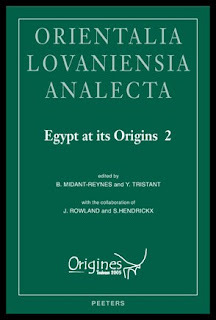 The articles in this volume have been organised in nine thematic sections: craft and craft specialisation; physical anthropology; geoarchaeology and environmental sciences; interactions between Upper and Lower Egypt; interactions between the desert and the Nile Valley; foreign relations; birth of writing and kingship; cult, ideology and social complexity; excavations and museums. Les actes de la Deuxième Conférence Internationale sur l'Égypte pré- et protodynastique (Toulouse, France, 2005) présentent les résultats des recherches les plus récentes sur l'émergence de la culture pharaonique dans l'Égypte ancienne. Ils contiennent 65 contributions rédigées par 80 auteurs de différents pays. Les articles de ce volume sont organisés en neuf sections thématiques: artisanat et spécialisation technique; anthropologie physique; géo-archéologie et sciences environnementales; interactions entre la Haute et la Basse-Égypte; interactions entre le désert et la Vallée du Nil; relations internationales; naissance de l'écriture et royauté; culte, idéologie et complexité sociale; travaux de terrain et musées. This is an odd post on the above blog. It says that the article has been used with the permission of Diggings Online, but when you go to the Diggings Online website there is a subscription page but no details of the magazine, the current issue or back issues. I would assume that it is connected to the magazine Archaeological Diggings (for which current issue details are mentioned above) but the look and feel of the two sites are both completely different. There is an article mentioned on the Archaeological Diggings page dating back to 2006 entitled "Massacre at Mendes". Any ideas, anyone? It would be nice to credit the article to the right magazine and the right author, and to know how old the article is! Excavations in the central delta region of Egypt are turning up a series of exciting finds in a newly discovered Old Kingdom cemetery near Tel el-Rabee, ancient Mendes. This was the place mentioned in our December 1999 issue of Diggings that was the perfume trading centre of ancient Egypt. Mendes was the capital of Egypt during the 29th Dynasty (399-380 BC) but the earliest mastabas in the necropolis go back to the First and Second Dynasties. As is usual when excavating a cemetery, the objects found depend upon the tomb: a pharaoh or a nobleman might be buried with hordes of ushabtis and complete sets of furniture and household goods, whereas a poor man might only have a couple of pots and a pair of sandals. Nonetheless, these simple everyday objects can provide a wealth of information on the daily life of their erstwhile owners. An example of this is the decoration on the fine pottery vessels that are being discovered. Some pots bear the symbol of the fish god Hat Meheit, a major deity in this delta region where fishing was one of the important "industries" of the area. More exciting is the discovery of a fine slate palette 31 cm long, which bears echoes of the more famous Narmer Palette now in the Cairo Museum. The Australian archaeology magazine has a number of Egyptology articles this month. 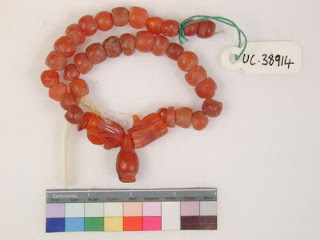 String of beads: 30 carnelian spheroids; 4 carnelian rings; 2 carnelian wd3t; 1 carnelian pendant. Found with UC. 38915-UC.38921. The most famous sculpture in Africa seems to be slowly melting back into the desert out of which it was carved. The Great Sphinx is hewn out of the natural bedrock beneath the sands of Giza in Egypt, where it sits in leonine grandeur by the causeway leading to the pyramid of Khafre, the middle-sized of the site's three pyramids. It was created in about 2500BC, early in ancient Egypt's long artistic triumph; more than two-and-a-half millennia later the Roman emperor Hadrian would build an Egyptian religious garden at his villa in Tivoli, drawing on a style of sculpture that was still very much alive in the early Christian era. If many people's idea of art is dominated by the European model of a succession of styles and movements from Greek classicism to American minimalism and beyond, the art of ancient Egypt has — alone among non-European cultures — long been accepted into this grand narrative. When the sculptor Gianlorenzo Bernini placed an Egyptian obelisk on the back of a marble elephant in Rome as a homage to the "wise Egyptian", or Napoleon exorted his army at the Battle of Pyramids, they did not see Egyptians as a lesser people but as the oldest sages and artists, the fount of Europe's culture. But were they right? In defiance of the reverence for Egypt so visible in Renaissance and Enlightenment Europe, modern art historians have often found ways to cut the Egyptian influence out of their subject. In his famous book The Story of Art, EH Gombrich pointed out that Egyptian art changed little in its 3,000-year history and that Egyptian artists never progressed from stately profiles and sidelong views of feet to the fully rounded, action-packed art of Greece that, in his view, embodied a European "great awakening". But that is to look through the wrong end of the telescope. When the Nelson-Atkins Museum of Art announced last year that it had acquired a colorful, ancient Egyptian coffin, officials presented a small sheaf of paperwork affirming that all was on the up and up. Still, the paper trail went only so far. There’s no telling what really occurred when the sarcophagus, which once held the remains of a noblewoman named Meretites, left a well-known Egyptian museum collection back in 1972, though Nelson curator Robert Cohon confirmed that heirs of the original private collector had been unloading the family holdings since the 1950s. And there’s no real sense of the character and intentions of the German and Swiss middlemen with whom the coffin resided over most of the next three decades. Switzerland's Basel Ancient Art Fair (November 7-12, 2008), the premiere event for dealers and collectors of Near Eastern, Egyptian and classical antiquities, celebrates its fifth anniversary at the Baroque Reithalle Wenkenoff. Each of the BAAF's vendors, a member of the International Association of Dealers in Ancient Art (IADAA), adheres to a strict code of ethics regarding the authenticity and provenance of objects for sale. BAAF welcomes 16 merchants and representatives of the Art Loss Register, a not-for-profit organization dedicated to the recovery of stolen artworks since 1991. New to this year's roster of attendees is Germany's Curt-Englehorn-Centre for Archaeometry. Its staff will offer information on the latest methods of scientific inquiry for obtaining specific facts about antiquities. 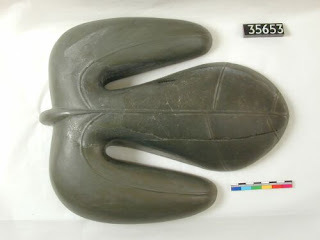 See the above page for more, including a list of some of the antiquities on sale. Egypt Sees Lower Tourism Revenue, Warns of "Panic"
Egypt expects lower revenue from tourism this year because of the global financial crisis and its impact on the Egyptian economy, Egypt's minister of tourism said. The country's tourism industry, especially the private sector, is panicking because of the economic turmoil and is starting a price war, which will harm the industry in the long- term, Zohair Garanah said in an interview on Oct. 23. Tourism is the number one source of foreign currency income for Egypt, generating revenue of nearly $10 billion last year, well ahead of workers remittances at about $8.6 billion and the Suez Canal, which brought in $5.1 billion. The visiting Italian President Giorgio Napolitano and the Egyptian Minister of Culture Farouk Hosni witnessed on Monday the signing of a Memorandum of Understanding (MoU) between the two countries to strengthen the ties of friendship, cultural and scientific cooperation, and the protection of cultural heritage. The secretary general of the Egyptian Supreme Council of Antiquities, Zahi Hawass, told reporters after the signing ceremony that the MoU provides for cooperation to develop the Egyptian Museum. If you are asked for a username and password enter "egyptnews" into both fields. The legend was true, then; the legend passed on in scores of news accounts over two decades, and now stored in electronic databases for which access requires that a secret password — “Help, please!” — be whispered to a research librarian. right - toes of king on the 9 bows. Read Quickly. The American Council of Learned Societies is making one of their humanities ebooks available to the public for one month only, after which it will only be available to subscribers. Women's Letters from Ancient Egypt, 300 BC-AD 800. eds. Roger S. Bagnall, Raffaella Cribiore, with contributions by Evie Ahtaridis (Ann Arbor 2008, 2006). Lots of really cool stuff in it. The letters on ostraca are particular striking. Around 1890, the brewing magnate, Carl Jacobsen, founder of the Ny Carlsberg Glyptotek, engaged Denmark’s leading Egyptologist, Valdemar Schmidt, to create an Egyptian collection in the newly-planned museum, and in the course of the following 35 years, Schmidt succeeded in putting together a collection of ancient Egyptian art matching Jacobsen’s other excellent collections of ancient art, from Greece, Etruria and the Roman Empire. This exhibition is an opportunity to see the works which Schmidt brought back to Denmark from his extensive travels in Egypt. Other works on display come from excavations in that country which Schmidt persuaded the wealthy Jacobsen to sponsor. Today it would be quite impossible to create a comparable collection, but Schmidt and Jacobsen lived in an age when the Egyptian authorities still permitted a limited, controlled export of antiquities. As a result, the Glyptotek today can present an Egyptian collection of truly international standing. The Glyptotek presents Egypt - Back to the Source, on view through February 8, 2009. The Glyptotek’s magnificent treasures from Ancient Egypt owe their presence in Copenhagen to brewing magnate and museum founder Carl Jacobsen (1842-1914). He wanted to go back to Ancient Egypt as ‘the source of art’ – the place whence the Greeks and the Romans drew their inspiration and which in turn was passed down to all later Europeans. The Glyptotek’s collection is one of the fi nest in the world. On the occasion of the 125th anniversary of Danish Egyptology, this exhibition tells the story of Jacobsen, his Egyptologist Valdemar Schmidt (1836-1925) and their exploits – from excavations with the English archaeologist Petrie through collaboration with the museum and authorities in Cairo to the display of works back in Copenhagen. Egypt – Back to the Source focuses on a number of the collection’s supreme masterpieces, among them the Black Head of a King which Schmidt bought in Egypt in 1894. "The support of African countries for Egypt's candidate for the UNESCO top post will immensely help it win the prestigious position," said Culture Minister Farouq Hosni in statements he gave after returning home from a visit to Algeria where he attended the second conference of African Culture Ministers. He said that the conferees were unanimous in backing his candidacy at the coming African summit in Ethiopia in January. Hosni has already won the backing of Arab countries and gaining that of African States during the Ethiopia summit will shore up his chances to win the post. Following over one year since the presidential decree to develop the entire district of North Giza in May 2007, the plans continue to trigger controversy due to the lack of information about the project. The district of North Giza includes the underprivileged areas of Warrak, Munira and the large neighborhood of Embaba. According to government sources, the project includes building roads linking Rod El Farag district to the Ring Road leading to Sixth of October City and linking Ahmed Orabi Street to the Ring Road through Embaba Airport Land, the site of what used to be Embaba Airport. The project includes “making use” of the land surrounding Embaba Airport through encouraging investment in the area. The whole region of North Giza measures around 3,147 acres inhabited by 450,000 residents. The land surrounding Embaba Airport is around 160 acres. The Popular Committee for the Protection of Embaba Airport Land, a grassroots group, has repeatedly criticized what they called “the secrecy” surrounding the development project and the lack of real data revealing its true nature. CAIRO: Heavy rain, thunder and lightening marked the weather on Friday which had Egypt under thick clouds all day. The weather forecast for the day was a high of 27˚C, a low of 18˚C and clear skies. But who believes the weatherman anymore? At around noon, the rain started pouring and the skies lit up with lightening as thunder struck. When it stopped at around 4 pm, it remained cloudy. By then the temperature was around 19˚C, and expected to drop another degree or so by nightfall. Earlier this month, meteorologists warned against rainstorms they believed could hit Egypt any time during the fall season. "According to meteorological studies, we are expecting more rainstorms on the coastal cities, Cairo, parts of Sinai and Upper Egypt," said Waheed Seoudi, head of the analysis unit at the Egyptian Meteorological Authority, told Daily News Egypt in a previous interview. For his next directing effort, Steven Soderbergh is plotting a 3-D live-action rock ’n’ roll musical about Cleopatra. He is courting Catherine Zeta-Jones to play the Egyptian queen and Hugh Jackman to play her lover, Marc Antony. The $30 million "Cleo" will be shopped for financing and distribution within the next two weeks. Greg Jacobs is producing with Casey Silver. The music has been written by the indie rock band Guided by Voices, and the script is by James Greer, a former bass player for the band and an author. While Soderbergh has recently done a spate of wildly different projects, this one will be his first full-blown musical. 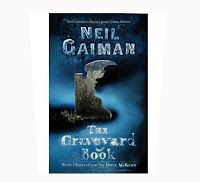 It takes a graveyard rather than a village to raise a child in Neil Gaiman's latest novel. A toddler named Bod escapes from his parents' murderer by wandering into a cemetery. Swiftly taken into the care of kindly ghosts, he is allocated to a tomb inhabited by Mr and Mrs Owens, a respectable 18th-century couple who become his spirit parents. A neighbour, Caius Pompeius (died during the Roman occupation) is just one of the spectres keeping a friendly eye on him. The boy is in continual danger from the Jacks of all Trades, a sinister organisation from Ancient Egypt. Warned that an extraordinary youth will bring their order to an end, five evil men have correctly identified Bod as the most plausible candidate and are out to get him – so he must hide in the graveyard for all his young life. Video piece which features Derek Welsby talking about rescue archaeology and the recovery of rock engravings. The full script is available on the above page if you don't wish to listen to it. The donated rocks - featuring important animals and people - will form the cornerstone of a future exhibition at the British Museum, preserving at least some of this area’s fascinating cultural heritage. The brainchild of Wadi Environmental Science Centre (WESC) and the Egyptian Desert Pioneers Society (EDPS) the “Characters of Egypt” festival (Oct. 29-31) is a three-day extravaganza celebrating the cultural heritage of tribes from seven desert areas of Egypt: Siwa and Farafra from the Western Desert, North and South Sinai, Nubia, and the Eastern and Southern Deserts which stretch from Marsa Allam to Alba Mountain. Held in the pristine Fustat Wadi El Gemal National Park, 45 km south of Marsa Allam on the Red Sea, this first cultural event of its kind will showcase the diversity of fauna and flora in the area and the intricacy of tribal costumes and jewelry. Attendees will also learn how to shadow-read, navigate the desert and will participate with the tribesmen in a variety of activities including music, dance, poetry, sports, games, food tasting, a camel race, educational lectures on the tribes and the environment. Despite the fact that approximately 300,000 people from 45 tribes lead a nomadic existence in Egypt, according to Founder of the EDPS Walid Ramadan, they are almost always forgotten. Five young heritage professionals from Canada, Egypt, Hungary, Peru, and Zimbabwe, received UNESCO-Vocations Patrimoine fellowships to pursue post graduate research at University College Dublin (Ireland) and at the Brandenburg Technical University of Cottbus (Germany) in a ceremony at UNESCO Headquarters on the evening of 22 October. The fellowships were awarded by the Organization's Director-General, Koïchiro Matsuura; Yves Coppens, President of the French non governmental organization, Vocations Patrimoine; Patrick de Cambourg, Chairman of the Group MAZARS; Laure Thibaud, AXA Group Executive Vice President for Communication and Sustainable Development; Béatrice de Foucauld, Vice-President of Vocations Patrimoine speaking for the Headley Trust; Victoire Bidegain di Rosa, Advisor to the French Foreign Minister; Anne Marie Cousin, General Inspector of Architecture and Heritage, representing the French Ministry of Culture. . . .
El Sayed Yones, from Egypt, will also spend two years at Brandenburg Technical University where he will study management issues concerning Abu Mena World Heritage site, surveying and assessing existing conditions, analysing threats and making technical plans for the safeguarding of the site. Mr Yones, a graduate of Cairo University, has been working as an archaeologist in the Egyptian Supreme Council of Antiquities since 2002, and is now an inspector of archaeology. The stolen eye of Pharaonic king Amenhotep III returned to Cairo from Switzerland on Thursday 23/10/52008, accompanied by Abdel-Hamid Ma'aruf, the director general of the Egyptian antiquities registration center. The eye, which arrived on board an EgyptAir plane, had been stolen from a statue at Luxor some 36 years ago during a fire around the Luxor temple. Swiss President Pascal Couchepin and Culture Minister Farouq Hosni singed in 2007, a memo of understanding on the protection and retrieving monuments which illegally went out of Egypt, especially as Switzerland is a signatory of UNESCO agreement on the protection of monuments. The Swiss President had said his country gave back to Egypt one thousand pieces of antiquities. The book came out of the first major conference to focus on the disappearance of ancient writing systems, held in 2004 in Oxford, UK, and organized by the three editors. Baines is professor of Egyptology at the University of Oxford and well known for his work on literacy in ancient Egypt. John Bennet of the University of Sheffield, UK, is an expert on the Aegean scripts, notably Linear A and B, and Stephen Houston of Brown University in Rhode Island has been instrumental in the Maya decipherment revolution since the 1980s. It is a pioneering, fascinating and authoritative book. The 17 contributors cover a surprising range of topics in detail and with comprehensive bibliographies. They discuss familiar lost scripts such as cuneiform, and more obscure examples, including the Kharosthi script of northwest India, the Meroitic script of Nubia in what is now northern Sudan, Aztec and Mexican pictography, the knotted-cord quipus of the Inca empire and its Andean successors, and the Manchu script of China, which fell out of favour with the end of the Qing dynasty in 1912 but was revived in the 1980s. Inevitably there are omissions, most regrettably the much-debated Rongorongo script of Easter Island in the southeastern Pacific, a script that probably flourished for less than 100 years until its rapid disappearance in the mid-nineteenth century. “You end up thinking we’re all a bunch of looters, thieves, exploiters, that we’re some kind of criminals … but who would be interested in Greek sculpture if it were all in Greece? These pieces are great because they’re in the Louvre.” So protests Aggy Leroule, the Louvre’s press attaché, and so complain directors, trustees and publicists at the many great temples of art and archaeology. Yet there are also dissidents, an unlikely example being Thomas Hoving, once the acquisition-obsessed director of the Metropolitan Museum of Art and now a fallen Lucifer who recalls, almost with relish, his prevarications past. . . .
Hawass is every major museum director’s nightmare, an avenging prosecutor, an agile politician and insatiable self-publicist. Continually visible on Egyptian television, he is also among the most formidable of the post-Nasser governing elite: at home with Americans, having earned his doctorate at the University of Pennsylvania, and wondrously able to energize the world’s most ancient and torpid bureaucracy. See the above page for the rest of the two-page review. The American University of Beirut's (AUB) new president, Peter Dorman, who is also a professor of archeology and an expert on ancient Egypt, gave a presentation Wednesday about Hatshepsut, the only woman to reign as a male pharaoh over ancient Egypt. Organized by the Society of the Friends of the AUB Museum and held at the AUB Archeological Museum, the illustrated lecture was titled "Gender Trouble in Ancient Egypt: The Case of King/Queen Hatshepsut." It attracted a large audience, including Culture Minister Tammam Salam and his wife. In his talk, Dorman highlighted the uniqueness of the reign of Egyptian Queen Hatshepsut, who assumed the role of male king of ancient Egypt, through her garb and title, as depicted in the hieroglyphs contemporary to her time of rule. Hatshepsut is the fifth pharaoh of the 18th dynasty (1500 BC) of Ancient Egypt and wife of Thutmose II - also Hatshepsut's half-brother - who died a few years after becoming king without a direct heir to the throne. Thutmose III, Hatshepsut's stepson and nephew, was too young to assume kingship at the time. As a result, Hatshepsut claimed power as queen regent, and then usurped it, by claiming to be the legitimate heir, by virtue of being the daughter of a king. Seven years into her rule, she also assumed the role of male king. "Hatshepsut holds a unique place in ancient Egyptian history since she is the only woman to rule in the guise of a male ruler," said Dorman. While surveying the circumstances that led to her becoming queen then assuming legitimacy for rightful heir for kingship, Dorman supported his observations with archaeological evidence - mostly derived from her funerary temple in Dayr al-Bahri on the banks of the Nile - that showed the evolution of her role from queen to king. Swaying reeds line the Nile River as a breeze carries the scent of spices and ripening figs past obelisks and pyramids. Hieroglyphics, engraved into these monuments, tell tales of mighty pharaohs and battles. Many people hope to see these marvels of Egypt one day, but the distance often proves to be too far. However, the Burke Museum will make this journey possible for a few short hours, through various artifacts, exhibits and lectures during the Mysteries of Ancient Egypt family event, Oct. 26. The exhibit will feature Seattle’s only Egyptian mummy, nicknamed Nellie, who dates back about 2,000 years ago, to the Ptolemaic period. Nellie has been kept under wraps because of Washington’s climate and because of the previous care she received. Brought to the museum in 1902 by former UW regent Manson Backus, Nellie has been exposed to more humidity damage in the past 106 years than the previous two millennia. See the above page for full details, with photographs. Authorities in Cairo plan to restore historical buildings in the Egyptian capital and turn them into luxury hotels, the Al-Ahram newspaper said on Wednesday. Officials and academics believe the move could rescue several historical buildings. The plan concerns primarily Egyptian roadside inns, called caravanserais, located in the Islamic part of Cairo. Traders, pilgrims and other travelers have stayed at these inns, located along famous caravan routes in the Middle East, for centuries, and they have become a feature of pre-Muslim and Muslim architecture. "A tourist can never find a better place to stay in Cairo, where he or she can revisit history and discover the charm of the East," the country's culture minister Farouk Hosni said in an interview with the newspaper. In addition, former palaces of the Egyptian nobility, which are now used as cultural centers, art galleries and museums, could also be turned into hotels. There are two dead bodies in the Humanities building, and everyone is invited to see. Two mummies, part of SF State’s permanent archeological collection, will be on display in the Humanities building, along with other artifacts from the Sutro Egyptian Collection. The exhibit is from Nov. 3 through Dec. 12, and admission is free. Staffers estimate that the two mummies are around 3,500 years old. In past exhibits, students from schools such as Lakeshore Elementary would gather around the mummies in excitement. Christine Fogarty, the program administrator for museum studies, said the amazed children would smell the mummies through small holes in the glass casings. Heather Graybehl, a curatorial associate for museum studies, said the mummies sparked the children’s imaginations and many would invent theories as to how the preserved corpses died long ago. Interview with Michelle Moran, author of fiction novels based in ancient Egypt. Here's the first question and answer. There are eight more on the above page, plus comments. 1. Why did you choose Ancient Egypt as your focus for your novels? My travels to archaeological sites around the world have been enormously influential in my writing career. In fact, my inspiration to write on the Egyptian queen Nefertiti happened while I was on an archaeological dig in Israel. During my sophomore year in college, I found myself sitting in Anthropology 101, and when the professor mentioned that she was looking for volunteers who would like to join a dig in Israel, I was one of the first students to sign up. When I got to Israel, however, all of my archaeological dreams were dashed (probably because they centered around Indiana Jones). There were no fedora wearing men, no cities carved into rock, and certainly no Ark of the Covenant. I was very disappointed. Not only would a fedora have seemed out of place, but I couldn’t even use the tiny brushes I had packed. Apparently, archaeology is more about digging big ditches with pickaxes rather than dusting off artifacts. And it had never occurred to me until then that in order to get to those artifacts, one had to dig deep into the earth. Volunteering on an archaeological dig was hot, it was sweaty, it was incredibly dirty, and when I look back on the experience through the rose-tinged glasses of time, I think, Wow, was it fantastic! Especially when our team discovered an Egyptian scarab that proved the ancient Israelites had once traded with the Egyptians. Looking at that scarab in the dirt, I began to wonder who had owned it, and what had possessed them to undertake the long journey from their homeland to the fledgling country of Israel. On my flight back to America I stopped in Berlin, and with a newfound appreciation for Egyptology, I visited the museum where Nefertiti’s limestone bust was being housed. The graceful curve of Nefertiti’s neck, her high cheekbones, and the faintest hint of a smile were captivating to me. Who was this woman with her self-possessed gaze and stunning features? I wanted to know more about Nefertiti’s story, and thus began my forays into writing historical fiction set in ancient Egypt. I have a new archaeological thriller, coming out in the UK for Christmas and wondered if it would interest you and your blog followers – (THE SMITING TEXTS - a modern archaeological thriller. An ancient, esoteric time bomb. Published by Austin & Macauley, UK.) It's still being printed as we speak, so it is estimated to hit shelves very early November, although it's already featured and available for pre-orders on Amazon, WH Smith, Blackwell sites etc. Below is a synopsis and early peek at the cover design. I have also started a brand new Egyptology author's blog, in fact two! The hero of my novel, renegade independent Egyptologist Anson Hunter, is also blogger in the novel, so, as well as my author's blog (called 'The Other Egypt'), I have given fictional character Anson a separate identity in the 'blogosphere' with his own blog of ruminations ('A River Nile of Consciousness - Anson Hunter's blog). Something a bit different. The Egyptian d Anubis has arrived to make way for the U.S. premiere of "Tutankhamun: The Golden King and the Great Pharaohs." Crews began installation of the five-ton, 25-foot tall statue of the ancient Egyptian god near 13th and Peachtree Streets in midtown on Thursday. The jackal-headed god Anubis was believed to be the guide and protector of the dead in ancient Egypt, and has arrived in Atlanta to pave the way for King Tut's treasures. The five-ton, 25-foot tall statue will be visible from the intersection of Peachtree Street and 13th Street in Midtown, as the Boisfeuillet Jones Atlanta Civic Center undergoes final preparations for the U.S. premiere of "Tutankhamun: The Golden King and the Great Pharaohs," which opens on November 15. When Philippe de Montebello announced his retirement earlier this year, the curators at the Metropolitan Museum of Art quickly came up with the perfect going-away gift for their long-serving director. It was a mammoth task: In more than 30 years as director, de Montebello has overseen the acquisition of more than 84,000 objects, from sculptures to scrolls to paintings to pendants. Around 300 of those artworks have been pulled together for "The Philippe de Montebello Years: Curators Celebrate Three Decades of Acquisitions," which opens Friday and runs through Feb. 1. De Montebello, 72, is retiring at the end of the year after being at the Met's helm since 1977. De Montebello said the show came as "a wonderful surprise." "When one's professional staff pays tribute to you, that gives you a sense that you've done something right," he said in an interview. The curators had hoped to keep the exhibit a surprise for de Montebello, said Helen Evans, the curator who coordinated the show. . . . Instead, the show moves roughly chronologically through de Montebello's years at the museum, with the result that works of art are juxtaposed with each other in ways they aren't normally. Paintings, sculptures, photographs, weapons, clothing, furniture - it's all there, sometimes making for some unusual neighbors, such as an Egyptian statue next to a sculpture from the people of Easter Island. The Mabee-Gerrer Museum of Art is offer two arts integration workshops designed to introduce teachers and future teachers to the value and ease of using artworks and art projects as inspiration and departure points for teaching creative classroom lessons for language arts, science, and social studies. Using artworks from the MGMoA collection as their motivation, the workshop presenters will demonstrate how art can serve as an effective learning tool, meeting the needs of diverse learning styles. "We hosted the first workshop, taught by arts integration specialist Patrick Riley, on Oct. 4. It was a great success with approximately 35 teachers attending," said Donna Merkt, MGMoA curator of education. "We all had a blast - who wouldn't have a great time making a four-foot-tall paper mummy?" While creating this masterpiece of paper sculpture, each teacher also learned how to use such a project to teach other curricula subjects. "The teachers learned about the mummification process, including the function and placement of the internal organs, to tie the lesson into science curriculum. We also discussed how the mummy could be used as a spring board for social studies, math, and language arts lessons." Redefining the Sacred: Religious Identity, Ritual Practice, and Sacred Architecture in the Near East and Egypt, 1000 BC – 300 AD 19th – 21st March, 2009 Ioannou Centre for Classical and Byzantine Studies, University of Oxford. The conference theme is situated at the interface between the study of texts, architecture, and archaeology, integrating domains of evidence that are normally treated separately and often generate contradictory interpretations of religious ideas and practices. Sacred space and ritual landscapes have become a major focus of interest in archaeology over the last decade but, because of the richness of the material in these regions, few broader comparative studies have been undertaken. Most studies concentrate on single contexts and isolated periods. Despite the realities of geographical distance and political separation, the cultures of the Near East and Egypt from the first millennium BC to AD 300 were dynamically interconnected and mutually dependent. Religious architecture, which was central to ancient environments, is at the core of expressions of relationship and difference. By bringing together ancient historians, philologists, Assyriologists, classical archaeologists, and Egyptologists, the aim is to explore the immense potential of diachronic studies of sacred space. What was the ethnicity of King Tut? Because Egypt is on the northern region of the African continent, some black culture enthusiasts vigorously proclaim long-standing theories that black Africans can claim the young pharaoh as a racial kinsman. The Third Eye, a black history, heritage and culture study group, will explore King Tut's ethnicity as the topic of the group's 23rd annual African Awakening Conference, from 6 to 10 p.m. Nov. 1 at the South Dallas Cultural Center, 3400 S. Fitzhugh Ave. The conference is an independent event designed to coincide with the much-heralded exhibition of Tutankhamun's artifacts and mummified body through May 17at the Dallas Museum of Art. The Third Eye topic is "King Tut is Back and He's Still Black: The African Heritage of King Tutankhamun," a nod to the exhibition's previous U.S. tours and the mummy's skin that appears black. Noted Nile Valley history scholar Ashra Kwesi is the main speaker. I have no idea whether or not this conference will be of any interest to anyone, but the increase in archaeologists who are working specifically within the realm of information technology would argue that it might be of use to someone. Apologies if not. This is a reminder that the extended and final paper submission deadline for the on-line International E-Conference on Computer, Information, and Systems Sciences, and Engineering [CISSE 2008] (http://www.cisse2008online.org/) is in one week (October 28, 2008). The Conference organizing committee has decided to extend the paper submission deadline due to numerous deadline extension requests from potential CISSE 2008 authors. CISSE 2008 has received more than 450 paper submissions so far from over 70 countries and we are looking forward to your quality paper contributions. Please note that this is a hard deadline, so that the technical committees can perform their paper reviewing duties in a timely manner. Accepted papers must be presented in the virtual conference by one of the authors. To submit your paper, visit http://www.cisse2008online.org. The full conference call for papers including all the details about the on-line submission and virtual presentation of the papers is enclosed in this e-mail. "We now know for sure that malaria was endemic in ancient Egypt. This was only been speculated on the basis reports by [the 5th century B.C. Greek historian] Herodotus and some very faint evidence from ancient Egyptian papyri," Nerlich told Discovery News. The first rays of the morning sun lit up the the statue of pharaoh Ramses II at his temple in Abu Simbel in southern Egypt, a phenomenon that occurs only twice a year. The sun began to enter the temple at 0555 local time (02.55 GMT) for 24 minutes to illuminate the figure of the king of the XIX dynasty of the New Empire (1539-1075 BC). During that brief time, the solar rays traveled along a distance of 60 meters until reaching the sanctum of the temple to announce the start of the month of ‘Bert’, which marked the beginning of the agricultural season for the ancient Egyptians. The sanctum contains four statues depicting Ramses II as equal to the gods seated in the middle of Re-Herakhty and Amen, with the god Ptah to the right of Amen. The rising sun illuminates all the figures except that of Ptah. All summer, the Lowe Art Museum on the University of Miami campus has been exhibiting artifacts from ancient Egypt. This spectacular show, Excavating Egypt, ends Nov. 2. Try to see it before it leaves. Excavating Egypt features the life and work of Sir William Matthew Flinders Petrie (1853-1942), on whom the cinema hero Indiana Jones was based. 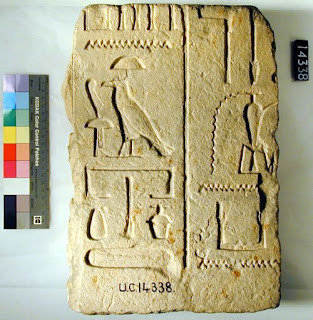 Petrie excavated in Egypt for well over half a century. The exhibition displays 221 of his most significant finds, including decorative art from the palace-city of the “heretic pharaoh” Akhenaten and his wife Nefertiti, gold mummy masks, funerary trappings, jewelry, sculpture and relief, vessels, painted vases, and objects of daily life. Technology lovers and modern car owners in Egypt consider themselves unlucky because of a government ban on the usage of Global Positioning System (GPS) technology. Telecoms Law 10/2003 outlaws the import of GPS-equipped mobile phones, and retailers found selling them could lead to the confiscation of their entire stock. The same applies to any kind of commercial use of GPS technology, which includes cars equipped with GPS devices. Mobile phones like the Nokia N95, N82 as well as iPhones and some 3G phones are banned in Egypt, leaving the market deprived of the latest technology and features that are fast becoming standard in the new generation of mobile phones. GPS helps users navigate to their destination inside cities and in remote areas. It also functions as a guide for places of interest as well as hospitals, police departments and businesses. “GPS is allowed in Egypt but you must have a license after getting approval from security authorities,” Sherif Guinena, vice chairman of the National Telecommunication Regulator Agency (NTRA), told Daily News Egypt. Anthony Cagle has moved his excellent ArchaeoBlog to the above location. Tony's blog is absolutely excellent and he has been running it since 2004. He covers all aspects of archaeology news around the globe. He has worked as an archaeologist in Egypt and elsewhere, conducting fieldwork with some of the top names in the field. He also shares an interest with me in classic cars, which is all to the good :-) Have a look at Tony's blog at its new home. 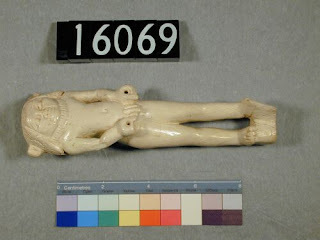 Ivory statuette of naked young man with leonine face, similar to later images of Bes, with lion's hair, ears + long tail, + immature male human body. Holes in fists (? for metal snakes) - L foot broken (piece missing). Deep in the Libyan Desert, 125 miles west of Luxor, lies Kharga, Egypt's largest oasis. The North Kharga Oasis Survey (NKOS), of which I am co-director, has established that this remote area--more than 100 miles long and from 12 to 60 miles wide--was continuously occupied throughout Egyptian history. We now know that it is home to an extraordinary variety of sites, including prehistoric rock art, Neolithic encampments, pharaonic monuments and burials, Roman settlements and water-supply systems, and the stars of the oasis--five unique Roman forts that guarded this part of the empire's southernmost frontier. Newly discovered ancient graffiti has even provided the name of a previously unknown ruler, King Aa, in power around 3000 B.C., who sent an expedition to this remote area. 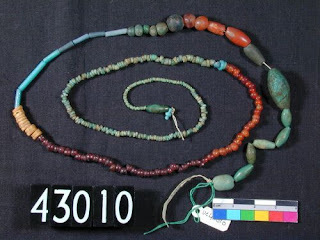 The NKOS's results are also changing our understanding of ancient Egypt's connections with its neighbors. We can now show that Kharga played an important role in trade between Egypt and other parts of Africa, from the Old Kingdom up through the modern period. Until recently, archaeologists have paid little attention to the Kharga Oasis, a depression in the desert that in the distant past was a large body of water that shrank over time, leaving smaller lakes and an easily tapped underground water supply. Salima Ikram is professor of Egyptology at the American University in Cairo and co-director of the North Kharga Oasis Survey. The attendant, Samir, unlocked the wooden door to the minaret and left me to go in alone. I had taken off my shoes to cross the threshold, but he explained I would need them again for the minaret climb. As I walked unaccompanied up the stone steps in the half-light, avoiding assorted debris, I felt a bit like I was trespassing. But this wasn't a private part of Cairo's Mosque of al-Ghouri - the minaret is open to any visitors who want to see it. It's just that not many do. Once on the roof I was able to look out across the mass of sand-coloured houses and shops towards the citadel and the Muqattam hills. From there a spiral staircase – I had to feel my way up part of it because it was pitch black – took me to a balcony about three-quarters of the way up the minaret. A creaky ladder led to the level at which the muezzin, in the days before loudspeakers, would have made his call to prayer. I decided not to risk it. Instead I just sat and looked at what could have been a vision from the middle ages: the narrow street below, crammed with goods for sale – huge bales of cotton, clothes and carpets – and people walking to and fro between the market and the old city gates. The idea of being immersed in the past is something that tempts millions of tourists to Egypt each year. The country's ancient heritage, is, of course, the big draw, but the problem with this is that the rest of its history can get overlooked. See the above page for the rest of the three-page story. We drove onto the eastern end of the long dam past the Egyptian-Russian friendship monument, a modern concrete architectural sculpture called the ‘Lotus Tower’ that didn’t seem to bear any resemblance to a lotus to me. Our coach stopped in the middle of the dam and we were given the statistical facts and figures by a specialist guide. The Egyptians are very proud of this gigantic feat of engineering, the construction material used on the dam is said to equal that of 17 Great Pyramids. Aswan High Dam is a huge wall of rocks which captures the world’s longest river, the Nile, in the one of the world’s largest reservoirs, Lake Nasser. The first dam, in an endeavour to curb the annual Nile flood that had enabled agricultural fertilization for thousands of years, was built just to the north of here in 1889 and was subsequently raised several times as it could not cope with the volume of water coming down through Sudan from the Ethiopian highlands. In 1970 a new High Dam, called Saad el-Aali in Arabic, was completed after ten years work mostly with Russian funding and engineering expertise. The benefits to Egypt in controlling the annual floods are said to have raised agricultural productivity by providing constant and much-needed water for irrigation as well as preventing damage to the flood plain, but the downside of this is in the ever-increasing use of chemical fertilizers by the farmers, which in turn causes a great deal of pollution. Many of you will be familiar with Su's excellent online resource for visitors to Egypt: Egyptian Monuments. If you haven't yet visited it I can recommend it. The American Tourism Society (ATS) Annual Fall Conference will take place in Cairo, Egypt, October 27-30, 2008, under the auspices of H.E. Zoheir Garranah, Egyptian Minister of Tourism. Mr. Amr El-Ezaby, Chairman, Egyptian Tourist Authority (ETA) will join H.E. Zoheir Garranah to officially open the conference on Tuesday, October 28th at the five-star Sofitel Cairo El Gezirah Hotel. . . .
A US Tour operator panel, moderated by Bob Whitley, President USTOA, will target the Egyptian delegates, focusing on “Trends in North American Tourism.” The first keynote speaker for the Wednesday Sessions will be Bruce Beckham, President, Tourism Cares, who will present “Tourism Cares – Restoring the Past, Preserving the Future.” The second keynote address for that day will be given by El Hamy El Zayat, Chairman, EMECO Travel, who will provide the American delegates with an overview “Trends in Egyptian Tourism.” The Egyptian Tourism Federation will present a panel on “Egypt: Realities vs. Perception,” moderated by Mohamed Salmawy, President, Egyptian Writers Union followed by an update “Tourism 4 Peace” presented by Mr. Rafi Baeri, Dan Hotels, Israel. Key words: habitation, landscape occupation, trade, exchange, production and consumption, scientific methodology, environmental archaeology, artefacts. How changing environmental conditions affect human movement. We are looking for papers from all walks of archaeology, and want to encourage discussion between archaeological science, anthropology, archaeology and classics. Abstracts to be received by Monday, 1 December 2008. Delegates will be notified of acceptance of papers by 15 January, 2008. Limited conference bursaries for attendance will be available – to assist us with their allocation, if a bursary is required, please include with your abstract a short statement on why the conference is necessary to your research. Selected papers will be published in a volume, as part of the GAO monograph series. Click on the small image, right, to go to the page where the full sized photograph can be seen. Most views of Egypt show the famous Nile River Delta, so it is interesting to see this view of the southern part of Egypt. At the top left of the image is a reservoir that was created when the Aswan Dam was built over the Nile between 1958-1970. The majority of the lake lies in Egypt and is called Lake Nasser. 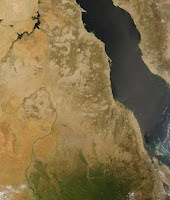 Because the border between Egypt and Sudan runs through southern part of this lake, a small tip of it belongs to Sudan and is known as Lake Nubia. A great deal of Sudan is visible in this image, from the dry northern Nubian desert to the southern part of the country which contains green swamps and rain forest. The Red Sea is the body of water on the right, with Saudi Arabia located to the east. This image was captured by the MODIS on the Terra satellite on September 27, 2008. Building is now well under way on what is claimed to be ‘The First Tourist Residential Development in Luxor’. This development of apartments, being marketed in the UK by Egyptian Experience, is located on the East bank of River Nile at one of its widest points offering views towards the West Bank, and the Valley of the Kings and Queens. The first phase of the development is due for completion in May next year and building is on schedule. Luxor, once known as ‘Thebes’, has been a popular tourist destination for over a century. Limestone block, with hieroglyphs in low relief in two columns. More good news from Thierry Benderitter and the OsirisNet team, in English and French. As usual a comprehensive description is accompanied by illustrations, translations, diagrams and photographs. First, the tomb of Userhat in Luxor, TT56, is now online (written by Thierry Benderitter with the help of George Engel and translated into English by John J Hirst - photo credits can be found on the final page, acknowledgements on first page). Second, thanks to Jon, you have now an entirely new and enhanced version of the pages on Qasr el Aguz, this small, almost unknown, Ptolemaic temple, which nevertheless is only 50 metres from Medinet Habu (written by Thierry Benderitter, translated into English by John J Hirst - photo credits can be found on final page, acknowledgements on first page). This week we also have a Content Team meeting for the redevelopment of the Egypt and Archaeology galleries, where we will be discussing the community consultations for archaeology and the Sudanese material, as well as plans to host a Black Egypt day next year, which will explore the Afrocentric approach to ancient Egypt. Egypt fascinates many people and the Museum would like to reflect diverse interpretations about the past that exist today. Minister of Culture Farouq Hosni toured on Sunday 19/10/2008 the second phase of the Pyramids plateau development project. He was accompanied by Secretary General of the Supreme Council of Antiquities Zahi Hawwas. The second stage of the Ministry of Culture's project involves lighting works, road and sidewalk paving, the development of the Sphinx area and the construction of offices for employees. Hosni called for the need to set a specific date for the conclusion of the project's second stage which is to be followed by the third and final stage. The surrounding slum area will also be developed in cooperation with the Giza Governorate. The project's first stage was opened in August this year. The first stage of the LE 300 million project included building electronic gates, an 18.5km-long security wall fitted with cameras to monitor the tourist area. The works also involved sophisticated explosive detectors and magnetic tickets machines. According to Hawwas, electric transport vehicles will move tourists and visitors from the parking lots to the archeological sites of the area. Ahora puedes conocer todas las zonas arqueológicas y todos los rincones de Egipto con visitar sólo nuestra Galería de Imágenes. Más de 1000 fotografías para empezar, divididas por zonas geográficas para hacer más sencilla la búsqueda. Fotografías inéditas, otras no tan conocidas y algunas clásicas. Una sección en constante actualización. Todas las fotos están hechas en nuestros viajes por Egipto. Recuerda respetar el copyright. In recent decades, Near Eastern archaeology has witnessed a tremendous increase in more theoretically informed publications and workshops. Theorizing the remote past has substantially enhanced our knowledge of why particular phenomena and practices might have been adopted or rejected in certain places at certain times. It has brought us new insight into the pasts that we study and has forced us to look more closely at ourselves as practitioners of academic research and therefore re-creators of these pasts. The present conference wishes to push current trends in theoretical archaeology forward by turning its attention to the people, both past and present, that exist behind the excavation, the sherd, the soil-trace or the article. It approaches these 'people behind practice' through two main conference themes, which deal respectively with the role of 'non-archaeological' factors in the creation of archaeological knowledge, and with the question of how to approach overlooked or over-studied parts of the archaeological record or study those facets of the past that ostensibly don't leave visible traces. The geographical scope of the conference ranges from the Eastern Mediterranean to Iran and from the Black Sea to the North to the Arabian Peninsula to the South. The chronological scope ranges from the Neolithic through to the advent of Islam. - Excavating archaeology: here we focus on case-studies in which old sites, material collections or individual excavations have recently been the subject of re-interpretation. Papers should deal with questions such as how zeitgeists, politics, religious ideology etc. influenced the original excavation and interpretation and how new socio-cultural or academic frameworks might alter our understanding of this material and influence our view of the past. - Academic taphonomy: as academics, archaeologists move through a world of material archives, excavation notes and secondary literature. How we perceive of ourselves and of the past, and how we conduct research, is directly influenced by our access to this world. since we cannot but fall back on or interact with the wealth of material produced by predecessor and contemporary, it is important to assess how we can best approach this material. Theoretical archaeology has created a broad range of new ways of perceiving the remote past. However, it has also at times created an even greater distance between us archaeologists and the people we study, by the advocation of a 'thoughts first, things next' approach. Without going back to obsolete typo-chronologies, papers collected under this second theme focus on how as archaeologists we might visualize the past in a more down-to-earth, direct way – that is, by focussing first on evidence that may or may not be at hand, and then assessing this in the light of established or recently challenged theories. We encourage papers that either deal with material that has largely been neglected in the theoretical discourse – and thus became invisible – or papers that deal with material that has too often been (ab)used 'to make a point' in the (recent) past, blinding us from other potential understandings of the past. We also argue for an archaeology of 'daily practice', bringing more neglected segments and members of communities and societies alive by reconstructing past ways of life and life stadia through either 'peculiar' or on the contrary overtly 'common' material. Issues related to expressions and alterations in identity construction, visible in the material record on the individual and on the communal level, are particularly welcomed, as are papers that deal with identification of gender, age, power, elitism, commensalism etc. We call for papers that by addressing these issues bring the 'people behind practice' to life. Please e-mail your abstract of max. 200 words to either Aurelie Daems or Bart Ooghe (Aurelie.Daems@Ugent.be, Bart.Ooghe@Ugent.be), with your name, affiliation, contact address and the main theme under which you wish to present the paper. Papers should not exceed 20-25 minutes, as each speaker will be allotted 30 minutes for presentation and questions. A more lengthy plenary discussion may be possible at the end of each session. (Belgium), from March 31st to April 2nd 2009. Further registration information to follow.